If you browse the aisles of a Japanese grocery, you may run across various instant tsukemono mixes. These come either in liquid or dry form. 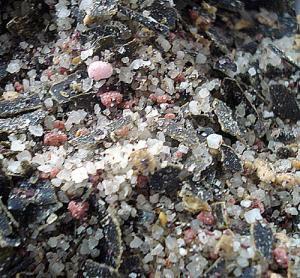 The dry granules in particular are very handy to have around, and they can make sokuseki zuke in a hurry. However, they usually contain MSG, preservatives and such. Scouring around the Japanese parts of the interweb, I came across several pages that had recipes for a homemade instant tsukemono mixes, such as this one. They all used MSG or dashi stock granules though, and I wanted to come up with a mixture that was made up 100% of natural ingredients. After some tinkering around and almost ruining the motor of my food processor, here's the mixture I came up with. 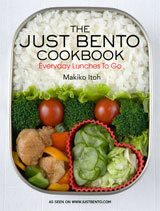 To up the umami quotient it has a full 100 grams of finely chopped konbu seaweed in it. It also has some interesting very Japanese ingredients in it such as dried yuzu peel and yukari, dried powdered red shiso leaves. This makes about 2 cups. 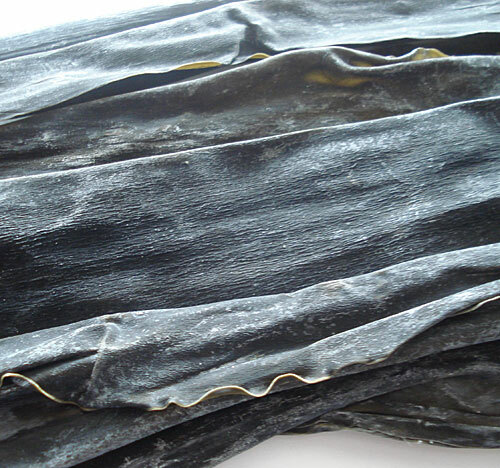 If you are using sheet konbu (or whole konbu leaves), cut them up as fine as you can with scissors. Good konbu looks like the picture here (click to see a larger view), with a whitish powder on the surface. That whitish powder is not dust, it's full of umami, so don't wipe it off. Put the cut up konbu in a food processor and process until quite finely chopped. Since the konbu is rather hard the food processor's motor may heat up; in that case, stop it for a couple of minutes to let it cool down then resume. When the konbu is as finely chopped as you'd like, let it rest with the lid of the food processor bowl on for a few minutes. If you open it right away the powder from the konbu will be flying all over the place. Let it settle back down before proceeding. Add the rest of the ingredients. Process until completely mixed. To use, add about 1 teaspoon to every 300g / 10 ounces or so of cut-up vegetable. Always add a little, and taste before adding more. Toss and squish around in a plastic bag. Commercial instant tsukemono powder has citric acid in it, so add a squeeze of lemon juice to the instant pickles and mix well just before serving. You can leave out the red chili pepper flakes from the mix, and add it to taste to whenever you want a spicy pickle. You can also leave out the sugar if you like, and add a sweetener of your choice as needed. Store the mix in an airtight container in a cool, dark place. 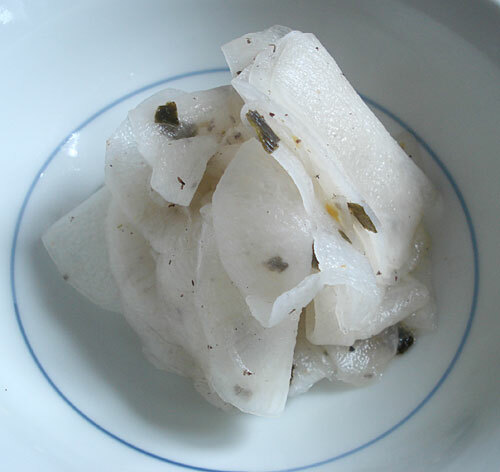 Here I've cut about half of a thin daikon radish into very thin slices, and tossed and squeezed it with the tsukemono mix, plus a squeeze of lemon juice. It's ready to eat immediately. Very refreshing! 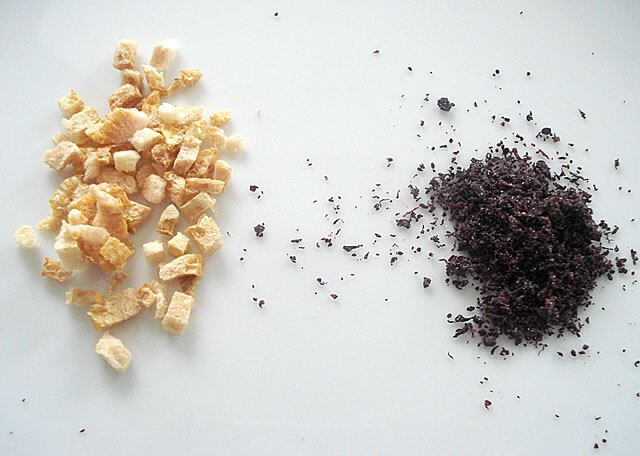 Below is a closeup of yuzu peel (left) and yukari. Both yuzu peel and yukari have very distinctive flavors. If you can't find them, just leave them out - as long as you have the kombu, plus the chili pepper flakes, it will still taste good. You can use ordinary table salt, but using a salt that actually tastes good will up the yummy factor. Submitted by maki on 2007-03-22 18:39. 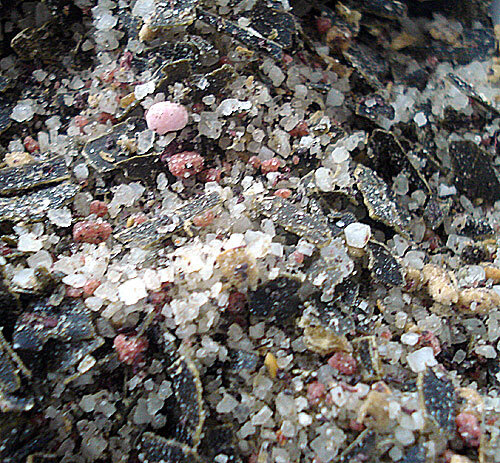 ...with kombu, Maldon salt, sugar, and dried bird's eye chili, eyeballed in the spice grinder for proportion. We had it tossed with Persian cucumber slices as our pickle, and it was really good. Thank you. I also made the short-grain rice and then onigiri by your methods, and they were the best results I've had yet. This is really excellent information. All natural, and instant? Looks tasty and convenient! I will have to try it sometime. At KyotoFoodie we are working on a series about doing tsukemono, longhand, the old fashioned way. That has a certain charm too. Shiso is grown very easily (it is from the mint family, so it'll grow like a weed- literally!) you can get some red shiso seeds and dry the leaves yourself. it's very easy.. i have korean shiso and 2 kinds of japanese shiso (green & red). seeds are inexpensive and they reseed themselves every year. Best if grown in containers, though. :) thanks for the mix recipe! :D I'll definitely try it! Thanks for the recipe! Any suggestions on how to make this without a food processor? You can just mix all the ingredients except for the konbu seaweed, and then finely cut up the konbu with scissors...or if you have kizami konbu (konbu seaweed sheets that have been pre-shredded) you can just use it as-is. Of course you can but at least look for the Granulated Dashi without MSG, the reason the recipy uses Kombu is because the lady dont wanna use MSG ladened things, Kombu naturally has MSG in it. its not chemicaly made MSG and is a much better alternitive. Hi! Thank you for the recipe. I've been making it and unclear on two steps: how long do you let the mix sit with the veggies and two, when squeezing, most of the salt mix goes with the water - am I doing this right? I end up using the liqud as a salad dressing.